VARDØ: The prime summer season is winding down for the pioneering vessels blazing a new maritime trail through the much-vaunted Northeast Passage. 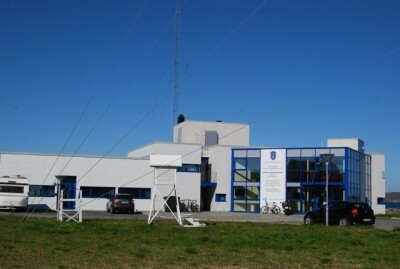 In this tiny Arctic town at the far northeastern tip of Norway, the nautical and communications experts working at Vardø Radio are convinced they’re going to be watching even busier screens in the years ahead. 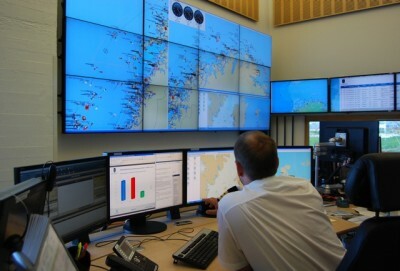 He and his colleagues are responsible for keeping an eye on vessels and, not least, responding to calls for help from the northern county of Troms all the way across Finnmark and towards the Russian border and beyond, 24 hours a day, seven days a week. “We’re quite popular among the Russian fishing fleet,” Østnell said on a clear, sunny day this past summer. 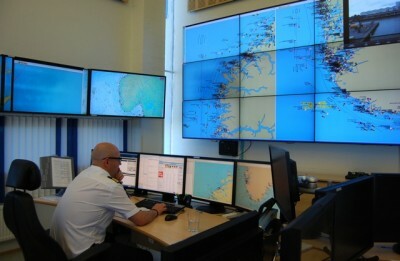 He and his colleagues are likely even more popular when they can provide a calm voice of reassurance to vessels caught in treacherous high seas and freezing temperatures, in the dead of the dark Arctic winter night. The melting of Arctic ice looks set to further boost traffic in the Barents and eastward along the far northern coast of Russia. Last month a 19,000-dwt COSCO bulker became the first Chinese merchant vessel to take the “Arctic shortcut” through the Northeast Passage that dramatically shortens shipping routes between Asia and Europe. It’s likely to be the first of many, given the level of Chinese interest in the Arctic. Environmental organization Greenpeace doesn’t like it either, and sent out a report Wednesday that one of its vessels on a “Save the Arctic” mission (from oil and gas activity and more ship traffic) had been fired on by the Russian Coast Guard when Greenpeace activists tried to mount a Russian offshore platform belonging to Gazprom. A Greenpeace spokesman told Norwegian Broadcasting (NRK) that there was a confrontation at sea, and claimed the Russians responded with “a show of force beyond all proportions.” Two activists, one Swedish and the other Finnish, were reportedly under arrest. This year alone, though, is expected to set new records for vessel traffic in the Northeast Passage, with nearly 300 ships gaining permission to sail the route. A total of 46 vessels sailed it last summer, up from 34 the year before that. Cargo volumes increase in conjunction with the more frequent sailings, and environmentalists fear accidents. Father south of Vardø, in the booming Norwegian city of Kirkenes not far from the Russian border, shipowner Felix Tschudi has been promoting use of the Northeast Passage for years. He first began to explore shipping business possibilities in the Arctic back in the 1990s, and saw the potential for Kirkenes as an important ice-free port for vessels coming through from Russia and the Far East. 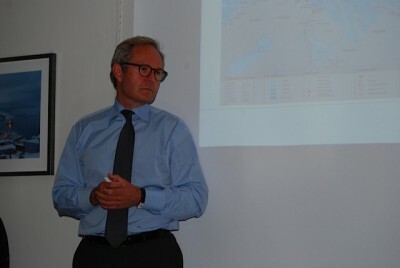 He thinks Kirkenes has a strategically important location also for transfers to new rail lines and truck transport. 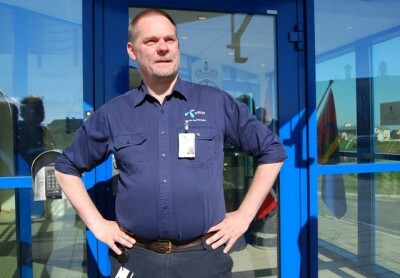 He later bought the then-closed Sydvaranger Mine in 2006, restarted production in 2008 and newspaper Dagens Næringsliv (DN) recently referred to him as the “King of Kirkenes.” Tschudi seems likely to brush off such titles, but appears deeply committed to working with logistics and transport in the Arctic region. He first sailed his own bulker through the Northeast Passage, carrying iron ore from Kirkenes to China, in 2010. It marked the first time that a non-Russian ship had used the full Northern Sea Route for a journey between two harbours outside Russia, and showed that the passage as a transit route was open for everyone. Its greatest advantage is its “mere” distance of just under 12,000 kilometers from China, as compared to the 23,000 kilometers for current shipping routes through the Suez Canal. The Northeast Passage is only open in the summer, though, making its season relatively short and weather challenges remain. Traffic along the route remains administered through Moscow, where it’s viewed as important for transportation to Russia’s own outlying areas in eastern Siberia. Depths are much less, because of shifting ice, than on more conventional routes, limiting the size of vessels allowed through the passage since groundings could cause serious environmental damage. Proponents of the passage, however, note that it also offers environmental advantages simply because the trip is 40 percent shorter than sailing through Suez. That means less fuel consumption and fewer emissions. Critics still believe the traffic through the Northeast Passage puts the fragile Arctic at more risk. Tschudi agrees it’s important to protect the area, but he also views the Arctic as an enormous resource that should be exploited as the melting ice and new technology allow. “Right now we have too many natural resources and too little infrastructure,” Tschudi’s project engineer Trond Dahlberg told a group of foreign correspondents who visited Sydvaranger this summer. The iron ore from the Sydvaranger mine alone needs better outlets, to get to markets. From Kirkenes, he and Tschudi said, “it’s nine days to the Pacific and nine days to the Mediterranean.” They view the Northeast Passage as “an alternative shipping lane with savings too great to be ignored.” They see its potential for getting billions of tons of oil, gas and ore to the markets in Asia where it’s needed, with manufactured products coming back in return. “We’ll never compete with Suez (which handles thousands of ships every year), but this is absolutely an alternative,” Tschudi said. Meanwhile, back at Vardø Radio, manager Hans Østnell is on the lookout for more staff. “We are looking for people with special competence, preferably with maritime experience, but especially people who can handle intense stress,” Østnell said. He’s not as concerned about environmental accidents as he is about the people on board the vessels Vardø Radio is monitoring. “We already have a lot of Filipino crews on vessels up here, and now the Chinese are coming,” he said. He expects car carriers, too, “and our primary objective is to be here when somebody needs us.” His colleague Inge Roernes, who once worked on board Royal Viking Line cruiseships, had been out on a search and rescue exercise the day before. They’re fairly frequent, and necessary. Engine fires are a common problem on vessels in the area, mostly fishing boats, Østnell said, and they need to be prepared for larger-scale distress. “We need people who don’t get panicked when the Barents is burning,” he said.